Developed by Kojima Productions, the Metal Gear series has captivated millions of gamers over the past twenty years. When MGS4 was released in 2008 it was hailed as the "most technically stunning video game ever made" and the crew here at Astro Gaming couldn't agree more. When presented with the opportunity of doing an MGS4 Edition of the A40 with our newly enhanced PS3-compatible USB Mixamp, we jumped at the chance. 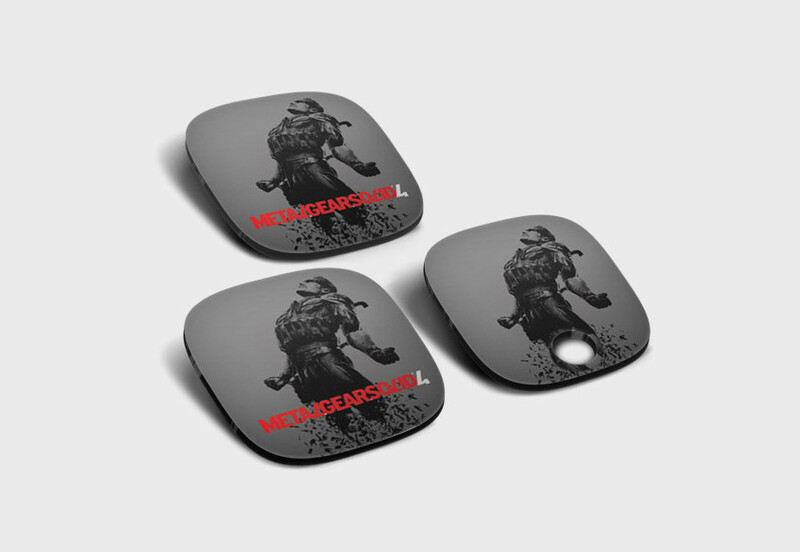 You can now purchase these Special Edition speaker tags separately to add to your collection and display this exclusive artwork from Kojima Productions.